A few months ago, Carmel Bond, founder of the Melbourne EA Group (MEAG) reached out to me after seeing my blog. Turns out we both work for real estate companies, just on opposite sides of the world! This is what is so cool about my career – EAs/PAs/Executive Secretaries/Chiefs of Staff/Coordinators of Chaos are so willing to connect and share, are so passionate about teaching other how to be successful in this role, and most importantly, so quick to support each other in this exciting, challenging, and often crazy world we’ve chosen to live and work in. This week I had the privilege of being the featured guest on the Melbourne EA Group blog. Check it out and while you’re there take a look at the amazing work Carmel and her team are doing to support, teach, and inspire their fellow Executive Assistants. Here’s another example of the power of the Executive Assistant network around the world. 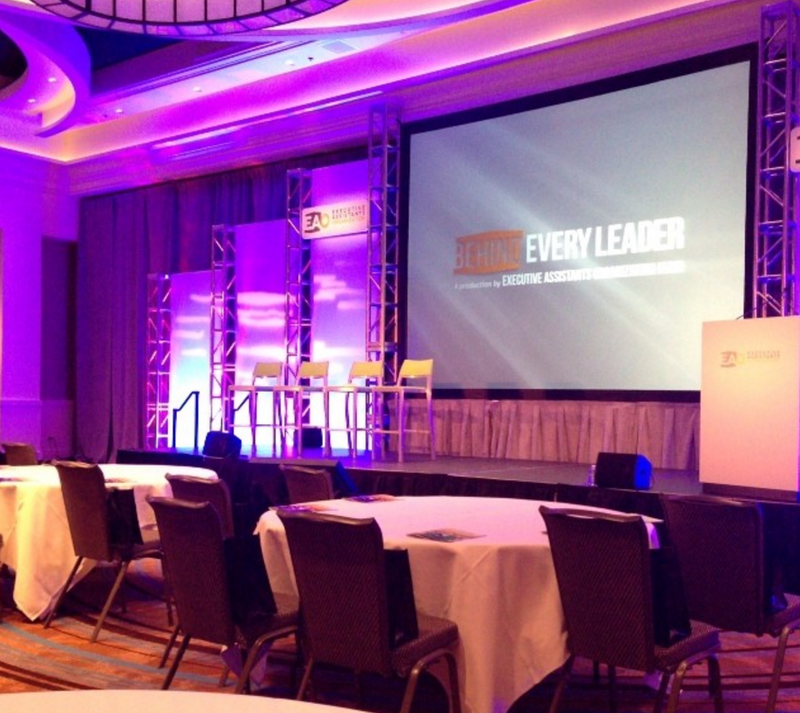 About three years ago I attend an amazing conference in NYC – Behind Every Leader. I felt like I had finally found my people and was in total awe of the presenters – all either current or former EAs to the greats like Jeff Bezos, Eric Schmidt, Mark Zuckerberg, JFK Jr, Nate Berkus, and Magic Johnson. I remember emailing my Exec, Adam, after the first day and telling him how amazing it was and how much I loved my career as an Executive Assistant. And he told me that one day I would be on that stage. Little did I know one day would come so soon! Fast forward to sometime last year when Victoria Rabin, CEO and Founder of Executive Assistants Organization, which hosts Behind Every Leader, saw Adam’s blog about strategic partnerships and connected with us about speaking at Behind Every Leader this year in Washington DC and NYC. Circle complete. Victoria is a consummate badass and a huge advocate for the EA/Exec strategic partnership. I am honored to be a part of anything she’s doing and I hope I can inspire just one EA like those amazing individuals did for me several years ago. Want to learn more about Behind Every Leader? Check out my interview with Victoria and Adam as we gear up for Behind Every Leader in DC in April. Your turn! Share where you are from, one of your recent successes, and one of your current challenges in the comments. Together, we can all elevate our careers and master the art of leading and assisting.